Sponsor of the proposal to give Maine’s Governor a pay raise, Senator Michael Carpenter (D – Aroostook) on the left. On the right, Governor Janet Mills speaks at a press conference. 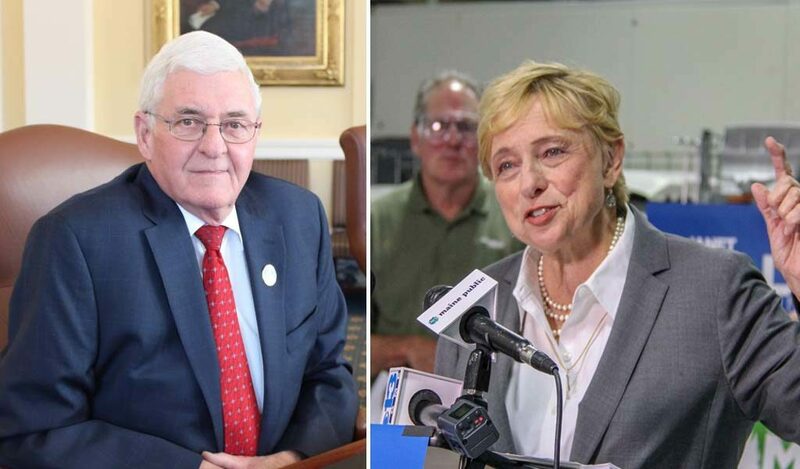 AUGUSTA – The Maine Legislature is considering passage of a bill that would substantially raise the salary for Maine’s Governor. Currently, Maine’s Governor is the lowest paid in the nation, earning $70,000 per year. Senator Michael Carpenter (D – Aroostook), is sponsoring a bill, L.D. 1328, which would increase that by $55,000 per year up to a $125,000 annual salary. It would also increase salaries and per diem for state legislators, who, like the Governor, earn among the lowest salaries in the nation. If passed, Sen. Carpenter’s bill would go into effect for the next Governor of the state of Maine who is not in office on Dec. 2, 2020. The pay increase for legislators would go into effect in 2022. The salary for Maine’s Governor has not changed since 1987, and the salary for state legislators has not changed since the year 2000. The Maine Legislature’s State and Local Government Committee will conduct a work session on the proposal before making a recommendation to the Maine House and Senate about the fate of the bill.